Hello and welcome to a new post! Today I want to talk with you about the very important issue, from my point of view. How do you think what is this? 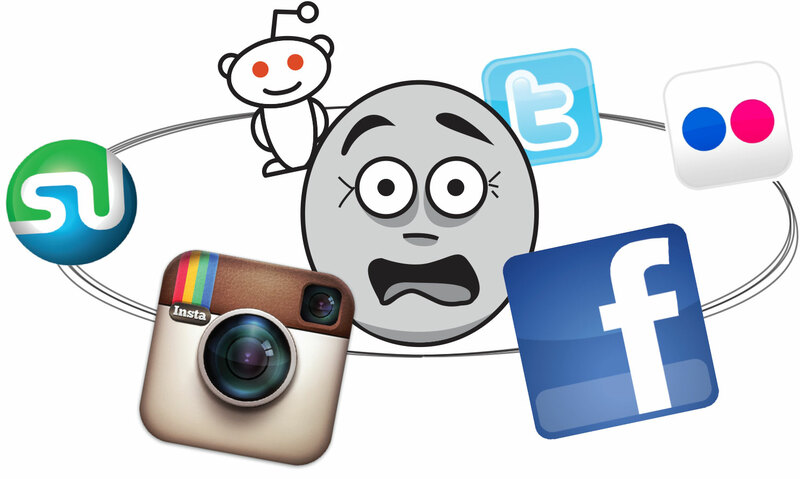 I hope you’ve got it from the headline – it is social networks addiction. You may possibly tell that there is no such a diagnosis but in fact, do we need a diagnosis to identify the problem? Usually, everything I am writing about is from my own experience and research. I choose the topic which is interesting for me, then searching the information and different perspectives in order to find the underpinning of my ideas and after that, try to explain the issue with my understanding of it. Many of us do not realise that social networks addiction is the same with alcohol, tobacco, drugs or gambling addiction. People try to stay away from those with negative consequences but not in the case with social networks. Can you honestly answer how many hours you spend every day using social networks? And how would you feel if your phone/tablet/laptop has suddenly got broken? Imagine that you do not have internet for the whole day. How is that? I know, it is complicated to live without all the devices we have nowadays. Life is changing dramatically and we have to follow all the requirements; however, people are not wise users, they are turning into addicted zombies. Indeed, if you leave your device and spend the day without it, you will more likely feel uncomfortable and this is the best variant. At the same time, in 2-3 days without your device, you should understand how many things you’ve been missing because of scrolling Instagram or Facebook or watching Youtube videos. Obviously, that is not the way to exclude all the devices and the internet connection but to limit is a necessity. Just think about it, you are at the restaurant/cafe with your friends and 4 from 5 are staring at their phone screen, messaging with somebody or taking pictures to post to Instagram. Does it make you happy? You are spending time checking the updates from the people you may not even know instead of chatting with your friends. That is ridiculous and scary. We cannot control ourselves and even more, we are unable to notice that we are addicted. So, now let’s move on to the tips which can help you to fight this addiction and learn how to control yourself. Left your phone away when you are going to bed. This tip will help you to sleep better (nothing attracts your attention and it is impossible to scroll any timeline or anything). Relax and sleep. Another advantage is to see your family first in the morning instead of your phone. And do not tell me anything about your alarm clock on the phone, just buy an alarm clock on its own. When you are with your friends or family in the restaurant/cafe or even at home, suggest not using the phones at all. The first person who does it will pay for everyone or clean the house or something like that. Do not think anybody is going to break this conditions. Make sure that everything you have in your subscriptions is useful to you. It can be something which makes you smile and relax, articles or blogs which have a positive impact on you, people who you really want to know but not all the celebrities you actually do not care of. Leave all the rubbish and make everything in order. There is no need to check every notification from each application. Turn off notifications about likes, comments and followers, reposts and new group members. All of them are not important and nothing will change if you do not check them. Of course, there are people like me, who hate these numbers on your application icon and open them to check just in order to get rid of the additional symbol. So, even in this case, just change settings and take a breath in and out. That’s it, your phone and you are calm and do not busy with useless staff. Keep your time for more pleasant things. Yes, this is the way to limit yourself. For instance, you have a couple of hours in the evening to do anything (not necessarily useful) on your phone. At the same time, during the day remember that you’ll be rewarded for not using a phone and will check all the applications in the evening. Do not turn your phone into your life. There is time for work, hobby, family/friends, sport and PHONE. Try to find an alternative variant when you want to use your phone if it is unreasonable. You can draw something or cook, read a book or wash your car. The only thing you have to do that moment is to not allow yourself to take a phone. For me, it works, I would be happy to know that it helps someone else. Next Социальные сети разрушают вашу жизнь. Правда ли это?